Designed this table for a San Francisco Designer's Showcase home many years ago. 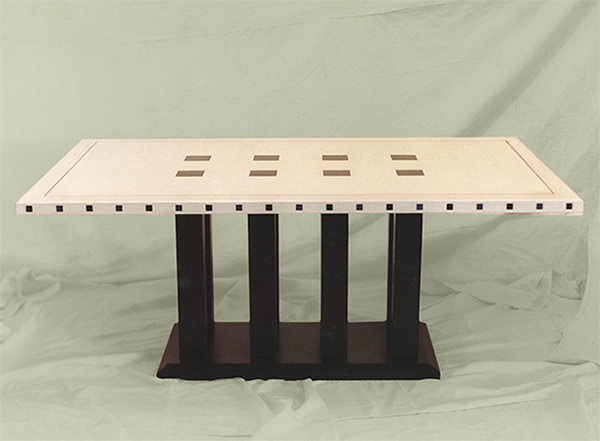 It is a Maple Base with a Colonnade design that seems to come thru the top of the table. The table top is Maple wood with an Ebony Inlay line around the perimeter with applied Ebony "Squares" that ornament the table's edge. The Table Base is Painted Black and the table top has a light wash stain over the Maple wood.